At Oslo Airport Terminal 2, CQRTS has delivered antimicrobial security trays for the new automatic return lanes by Herbert Systems. The trays are equipped with RFID chips and have a unique ID. This enables the introduction of remote screening. One operator can control multiple x-ray machines and the rejected trays are automatically side-stepped for manual inspection. 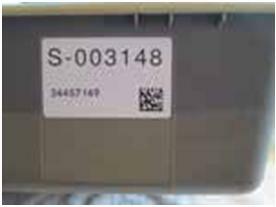 The RFID chips ensure that the correct tray and contents are re-checked. The remote screening reduces the cost of the operation of the security lanes significantly. CQRTS trays uses antimicrobial technology, with natural silver ions that are effective against a wide spectrum of microbes, including bacteria, mold and fungi. Silver ions, which flow from nanoparticles when oxidised, are deadly to bacteria. In use, security trays are handled by thousands of people each day, and this causes the trays to be contaminated.